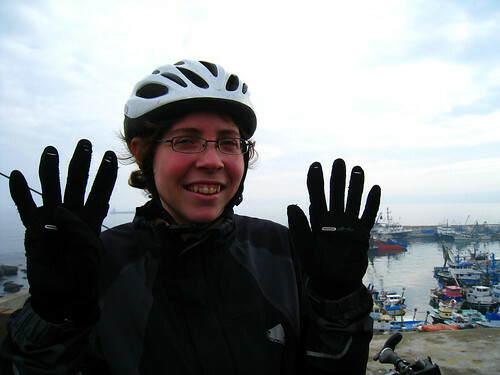 Here is the second in our 1000km milestone photos. 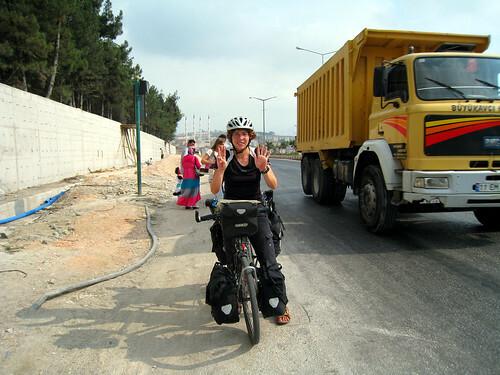 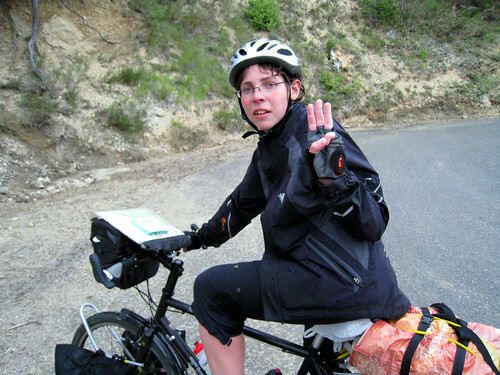 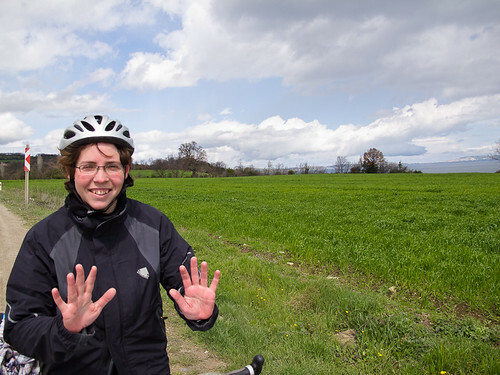 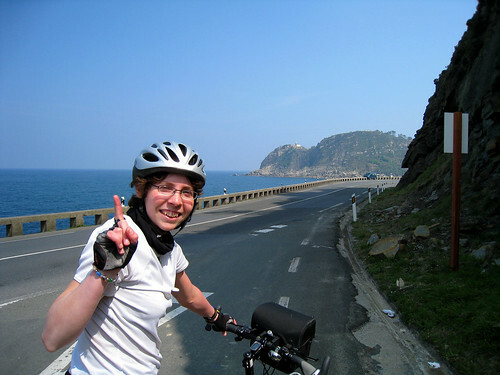 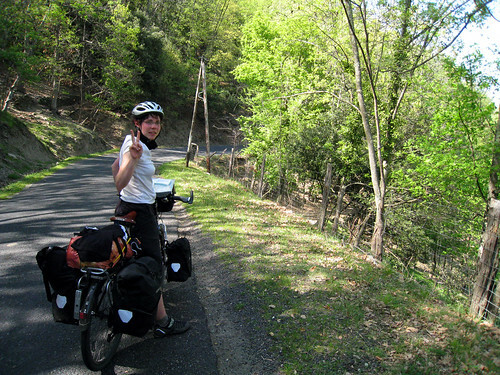 This one was taken on 28th April 2010 as we cycled between Taulis and St Marsal in France. 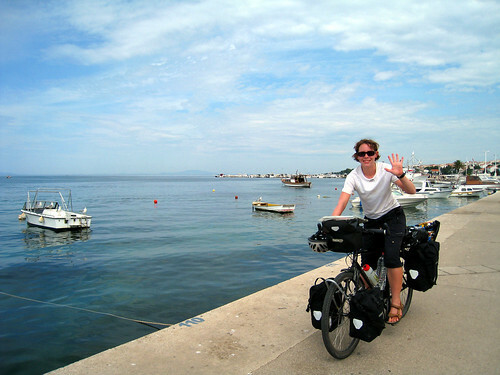 After speeding across the flat argenes alongside the Po river we have made it to 4000 kilometres very quickly. 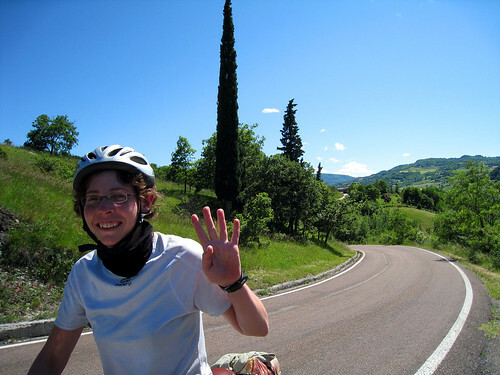 This photo was taken on 03 June as we headed East towards Sassoleone through the Appennino hills, climbing just outside Bisano. 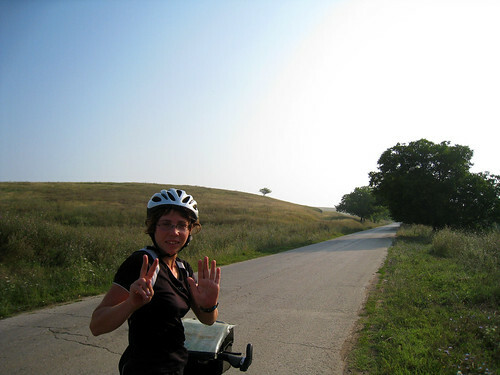 Unlike the previous 1000km mark on this occasion we weren’t stinky.